The Kidde KN-COEG-3 AC powered, plug-in CO and explosive gas alarm protects you and your family from two deadly threats. The KN-COEG-3 includes 9V battery back up that provides protection during a power outage, when AC-only units can not provide protection. By pressing the Peak Level Button you can see the peak CO level recorded by the alarm since it was last reset or unplugged. The continuous digital display shows you the level of carbon monoxide (if any) the unit is sensing as well as if gas is present. The gas sensor is a metal oxide sensor designed to detect natural gas (methane) or propane. Temperature range- 40 degree fahrenheit to 100 degree fahrenheit. 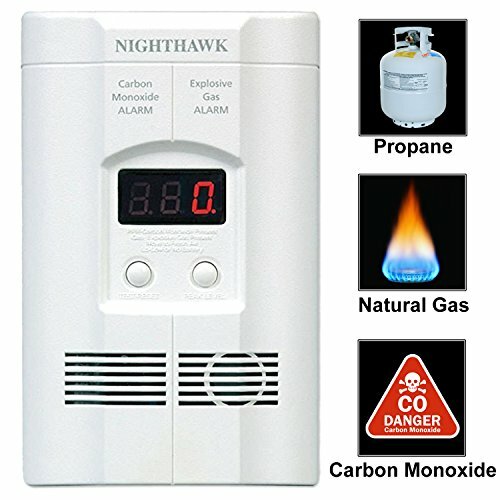 Kidde KN-COEG-3 Nighthawk Carbon Monoxide and Explosive Gas Alarm, 9-volt battery, mounting hardware, and installation guide. Sounder Alarm - The KN-COEG-3 offers a loud 85-decibel pulsing alarm that will sound to alert you to a potential problem. Digital Display - Displays the level of carbon monoxide the unit is sensing. 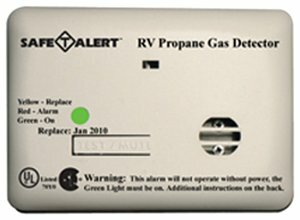 The Safe T Alert 20 Series Propane/LP Gas Alarm is designed for the rugged RV environment and is ideal for travel trailers, fifth wheels, trucks and folding campers. It features advanced technology with an "Alarm Mute" button that silences the alarm when the RV is ventilated and rapid recovery sensor that resets when silenced or reactivates if dangerous levels of propane remain. Easy 12 Volt installation means there will be no missing or dead batteries to replace. Meets RVIA/NFPA requirements. Listed to UL 1484 RV. ACCURATE: Industrial Carbon Monoxide (CO) gas detector, 0-1000ppm with 1ppm resolution. Electrochemical sensors Made in the UK. Comes FACTORY CALIBRATED. Turn ON and GO.  DETECT: Electrochemical cell sensor with error better than 5% F.S. and response time: T<30s. Zero and span calibration options. Comes factory calibrated.  ALARMS: Adjustable audio, visual, and vibration alarms alert when preset levels are reached. Alarm digital time stamp and logging.  STRONG: Designed for industrial workhorse field work. Shock proof, water proof, dust proof and explosion proof with belt clip. Rechargeable Li-Ion Battery 1500mAh via micro-USB cable, comes with all accessories. 1. Avoid placement in close proximity to where airborne contaminants like cooking oils can coat and decrease sensor sensitivity. 2. Users may clean exterior surface of the detector, unplug the device before cleaning. 3. Never use chemical substances such as spray, polish, detergent etc. Prevent Gas Explosion - Our gas detector can real time monitor and show the gas concentration on screen (0 ~ 20 % LEL), gas leak detector visual and audible alarm function, Our gas inspector only alarms when the gas concentration reaches and over 5% LEL alarm and flashing light will be triggered immediately 85db sound di, di, d..... Below this value, it will not explode nor cause any harm to the human body. Easy-to-Install and Durable - Plug-In design makes it super easy and convenient to install. 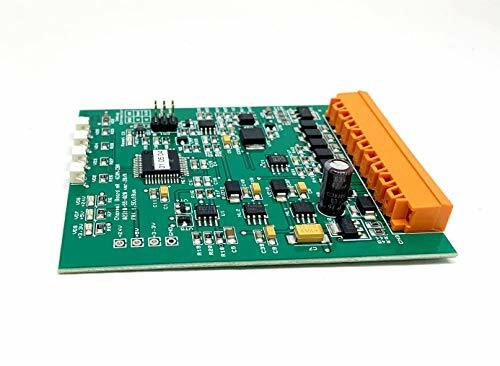 Double-sided PCB, this detector is anti-mildew, anti-pest, and anti-corrosive. Flame-retardant ABS plastic, wipes clean easily. Use in the kitchen or in your camper. Warranty - Ourjob gas detectors have CE & ROHS Certificates and China Compulsory Certificate. We offer 100% guarantee, any quality problems, you can refund within 30days.As the only manufactor of this item, we stand fully behind this product and will replace it if it ever breaks! A professional multi-gas detector with all advanced specifications, features and functions made with premium electrochemical gas sensors that are Made in the UK. This detector features the most advanced 32-bit microprocessor with Color LCD and graphing capability. Made for industrial use for utility workers, refinery workers, firefighters, maintenance engineers, those who spend time in sewers and waterworks, underground storage tanks, oil rigs, in tanks and silos in the maritime industry, and many others who need personal protective equipment to know that the atmosphere is healthy. Product comes with the Multi-Gas Detector, English Manual, Computer USB data cable, Charger, Calibration Cover and nut to secure. 100% customer satisfaction. Comes FACTORY CALIBRATED. Open the box, turn ON and GO. 100% QA by real sensor and gas detector engineers. 100% product test and verification in California, USA! 100% quality guaranteed. Arrives with calibration and QA certificate. Specifications: Natural diffusion sampling method (no pump). Combustible gas (LEL) 0-100% with 1% resolution. 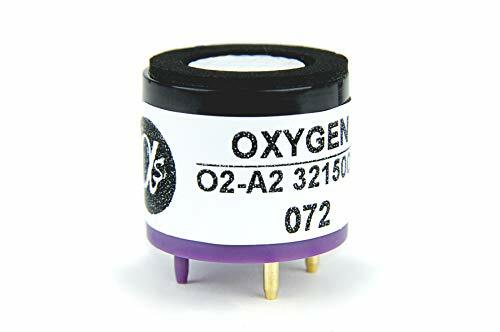 Oxygen (O2) 0-30% with 0.1% resolution. Carbon Monoxide (CO) 0-999 with 1ppm resolution. Hydrogen Sulfide (H2S) 0-100ppm with 1ppm resolution. Comes factory calibrated. Accuracy: 5% F.S. Response Time: 30s. Working environment: -20 50 , 95%RH (no dew). Power Source: DC3.7V Li-on battery, 2000mAh. Gas Sensor Life: 2 years. Explosion-proof grade: Ex ib IIB T3 Gb. Protection Grade: IP65. Weight: 400g (with battery). Dimensions: 130mm 67mm 30mm (L W H). 100% customer satisfaction. 100% QA by real sensor and gas detector engineers. 100% product test and verification in California, USA. 100% quality guaranteed. Arrives with calibration and QA certificate. 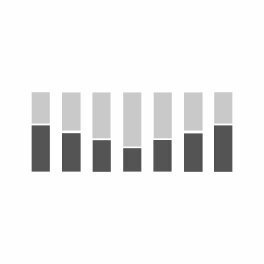  COLOR DISPLAY: Color screen and Graph functions allows for easy and intuitive operation. Comes FACTORY CALIBRATED. Turn ON and GO.  ACCURATE: High quality electrochemical sensors Made in the UK. Oxygen (O2), Carbon Monoxide (CO), Hydrogen Sulfide (H2S) and Combustibles (LEL). Comes factory calibrated.  DATA LOG: Stores 500 alarm records. Query detection/alarm data and export for analysis.  STRONG: Robust design made of high strength ABS and Anti-slip grip rubber. Waterproof, dust-proof and explosion-proof exceeding Exib IIB T3 Gb. The combustible gas detector can give an alarm when combustible gas concentration reaches the level which is helpful to indicate gas leakage. With compact size, light weight, it is easy to carry and operate. Can be used to detect hydrocarbons (methane, natural gas, gas, ethane, propane, benzene, Acetylene, propane, N,N,N,n, Pentane, hexane, gas oil, toluene), halogenated hydrocarbons(methylchloride, methylene chloride, three chloride, vinyl chloride), alcohols(methanol, ethanol)etc. The BW Technologies XT-XWHM-Y-NA GasAlertMax XT II 4-gas detector with pump is a handheld, four-gas detector that uses an electrochemical cell sensor to monitor ambient H 2 S and carbon monoxide (CO), a capillary pore fuel cell to measure oxygen levels, and a catalytic bead sensor to monitor ambient combustible gases continuously. It has audio, visual, and vibration alarms, which alert simultaneously when gases reach any of four preset levels. The integrated diaphragm pump allows for localized sampling of the atmosphere for more precise readings than those generated through diffusion. 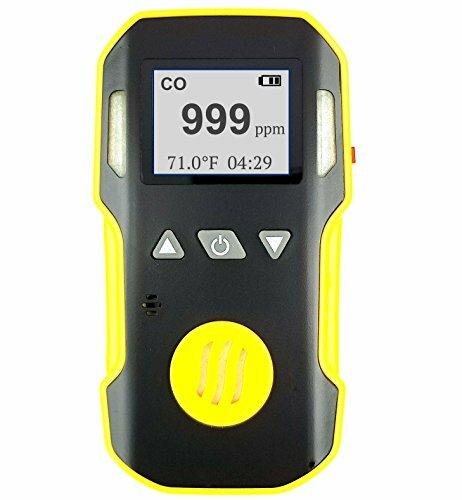 The detector has an alphanumeric LCD screen that shows real-time concentration of four monitored gases, the alarm type, the calibration requirements, the self-test pass or fail, and the battery life remaining. The LCD also displays a constant flashing heartbeat icon to indicate normal functioning. The detector is operated and adjusted with a single push button. It is used to indicate potentially harmful levels of gases naturally occurring in the environment; in a variety of occupational settings such as petroleum refineries, tanneries, sewage treatment facilities, and paper mills; and in other personal safety, educational, and ambient monitoring applications. Compatible with BW Technologies Gas Detectors W Technologies GasAlert MicroClip XT. 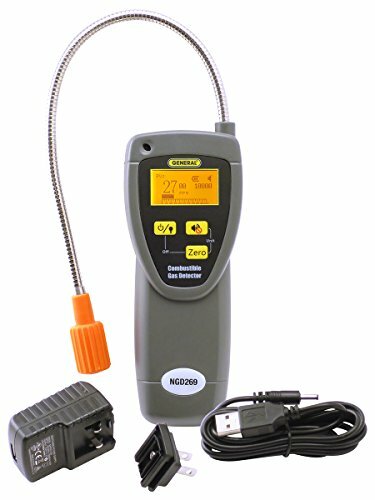 BW Technologies GasAlert Max XT-II. BW Technologies GasAlert Micro. BW Technologies GasAlert Micro 5. BW Technologies GasAlert Quattro. BW Technologies GasAlert Max. 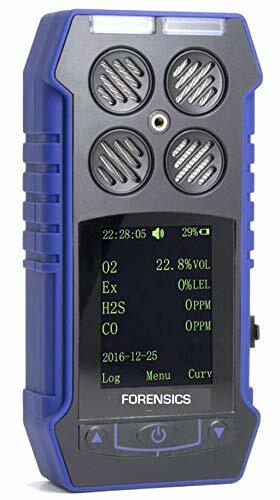 Etc..
A basic multi-gas detector by FORENSICS with basic and simple functions, yet incorporates high quality sensors made in the UK. Simple large LCD and with backlight. Robust for industrial use for utility workers, refinery workers, firefighters, maintenance engineers, those who spend time in sewers and waterworks, underground storage tanks, oil rigs, in tanks and silos in the maritime industry, and many others who need personal protective equipment to know that the atmosphere is healthy. Product comes with the Multi-Gas Detector, English Manual, Computer USB recharge cable, Charger, Calibration Cover, metal belt clip and nut to secure cap. 100% customer satisfaction. Comes FACTORY CALIBRATED. Open the box, turn ON and GO. 100% QA by real sensor and gas detector engineers. 100% product test and verification in California, USA! 100% quality guaranteed. Arrives with calibration and QA certificate. Specifications: Natural diffusion sampling method (no pump). Combustible gas (LEL) 0-100% with 1% resolution. 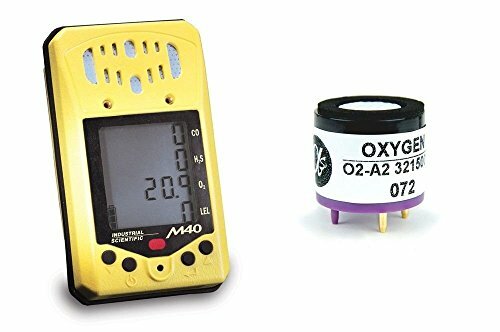 Oxygen (O2) 0-30% with 0.1% resolution. Carbon Monoxide (CO) 0-999 with 1ppm resolution. Hydrogen Sulfide (H2S) 0-100ppm with 1ppm resolution. Comes factory calibrated. Accuracy: 5% F.S. Response Time: 30s. Working environment: -20 50 , 95%RH (no dew). Power Source: DC3.7V Li-on battery, 2000mAh. Gas Sensor Life: 2 years. Explosion-proof grade: Ex ib IIa T4. Protection Grade: IP65. Weight: 230g (with battery). Dimensions: 130mm 67mm 30mm (L W H). 100% customer satisfaction. 100% QA by real sensor and gas detector engineers. 100% product test and verification in California, USA. 100% quality guaranteed. Arrives with calibration and QA certificate. SENSOR: High quality electrochemical sensors Made in the UK. Oxygen (O2), Carbon Monoxide (CO), Hydrogen Sulfide (H2S) and Combustibles (LEL). Comes FACTORY CALIBRATED. Turn ON and GO.  DETECT: Detection error better than 5% F.S. and response time: T<30s. Zero and span calibration options.  Sound & Light Alarm & Headphone Jack  Fast warm-up.When combustible gas or vapor source is approached, frequency of audible signal (ticking) increases.Low battery indication.With a headphone jack for using in noisy environment.  Adjustable Sensitivity & Easy Operation  The adjustable beep rate helps to decrease the polluted gas density in the air. Flexible probe can be rotated so that you can detect gas leaks any areas or hard-to-reach places. 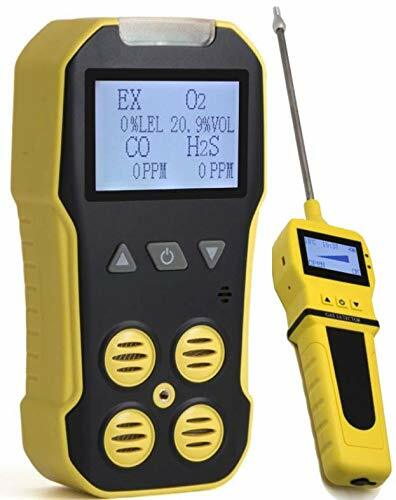  Detecting Various Gases  It can measure the following gas: natural gas, propane, butane, methane, acetone, alcohol (ethanol), ammonia, steam, carbon monoxide, gasoline, jet fuel, hydrogen sulfide, gas, industrial solvents, paint thinner, naphtha and other combustible gases ingredients. 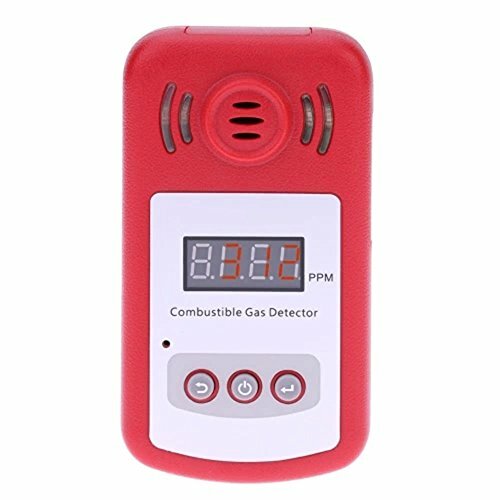  Professional Combustible Gas Leak Detector  This gas leak detector has high sensitivity to detect explosive gas leakage,it can detect the leaked gas indoors with its slim goose neck sensor, and alarm if gas leaks. It is suitable for families, petroleum, chemical, industrial and mining areas such as combustible gases and toxic gas detection.This is an ideal tool for Industrial uses, HVAC, plumbing and plant maintenance. Airradio I1 gas detector adopts high quality gas sensor and advanced technology. Easy to install and operate. When the natural gas concentration in the air reaches the 7% level, the detector will give audio and video alarming promptly, which informs the user to adopt measurement to avoid the fire, explosion etc. dangerous accidents happening. 1. The product has been completed in the factory in the professional test of the gas tank, only through the detection of products will enter the market! When you receive the product, the product runs the self-test program no problem, you can use! If you can not complete the self-test procedures, the product may be damaged during transport, please contact us to replace or refund. 2. This product requires regular cleaning and self-test, the proposed six months cleaning and self-test time! Please install the detector 12 inch below the ceiling and 59 inch away from the gas appliances to detect the natural gas because it is lighter than air. Thanks for Reading! Best regards. 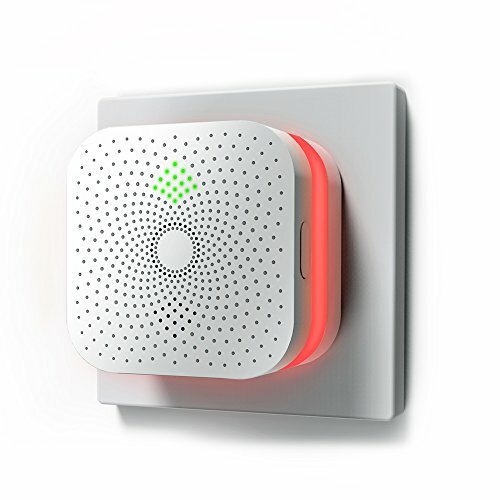 GAS LEAK ALARM - It will automatically sound alarm(70db) when natural gas(methane-CH4) leak concentration of more than 7% is detected in the air to reduce the risk of gas explosion and protect your family & property. ENERGY SAVING - Gas leak detector, super Power-saving, the power of this product is ONLY 0.3W, the annual power consumption is ONLY about 2 kWh. HIGH QUALITY - Adopts platinum gas sensitive electrode with quick response and strong anti-interference function; with medical grade polycarbonate material, it is flame-retardant, wear-resistant, anti-oxidation. OUR COMMITMENT - We make a promise to our customer: If the self-testing procedures is failed, please don't hesitate to contact us to replace it or refund. It may be damaged in transportation but our service is always reliable. This product supports one-year free replacement and we will take full responsibility for any quality issues. 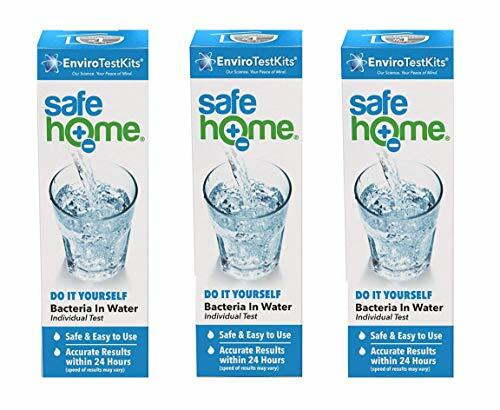 *SAFE HOME DIY Bacteria Test (3 Pack) Do It Yourself Testing for: Bacteria in water (Total Coliform & E. coli) *Contains one water quality test vial, which allows you to test for the presence or absence of harmful bacteria in drinking water. *Fill the vial with a water sample, cap the vial and shake, set on a flat surface and see test results in as quickly as *24 hours (*speed of results may vary). *Safe and easy to use plus our Bacteria Test Kit has the optimum technology for faster and more reliable results. *Yellow = Absence of harmful bacteria. *Teal = Presence of harmful bacteria. *Over 3-Million water tests sold - worldwide. When you buy from Safe Home, you are purchasing the very best value in accuracy and dependability for your family's drinking water safety. Protect Your Family from Bacteria (Total Coliform & E. Coli). Quarterly Testing Recommended. Safe & Easy to Use on Any Water Source at Home or During Travel. Tri-Lingual Instructions. Made in the USA and Named one of Top Nine New Products at the National Hardware Show. Patented Technologies that Detect Bacteria Down to 1 CFU (Colony Forming Unit). Trusted Accuracy for Results in *24 Hours (*Speed of Results May Vary). Over 3-Million Tests Sold. POINT SAMPLING: Perfect for point probe sampling or continuous sampling in confined or toxic spaces. DC Pump flow rate 0.5LPM with USB recharge. Comes FACTORY CALIBRATED. Turn ON and GO.  DETECT: High quality sensors Made in the UK. Oxygen (O2), Carbon Monoxide (CO), Hydrogen Sulfide (H2S) and Combustibles (LEL). Comes factory calibrated. Detection error better than 5% F.S. and response time: T<30s. Zero and span calibration options. 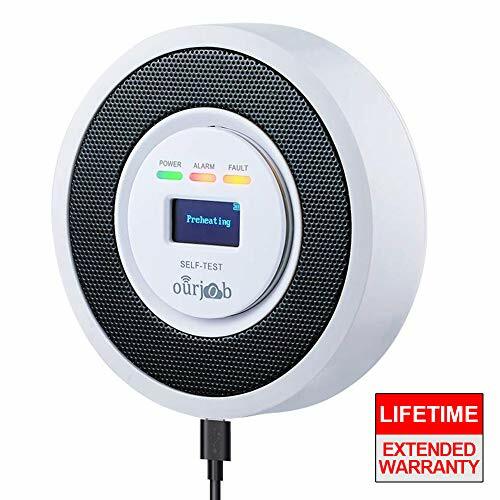  TRUST: ** 1 year limited warranty ** Arrives with calibration and QA certificate ** 100% product test and verification in the USA ** 100% quality guaranteed **. USA Customer support with engineer email response rate less than 6 hours. 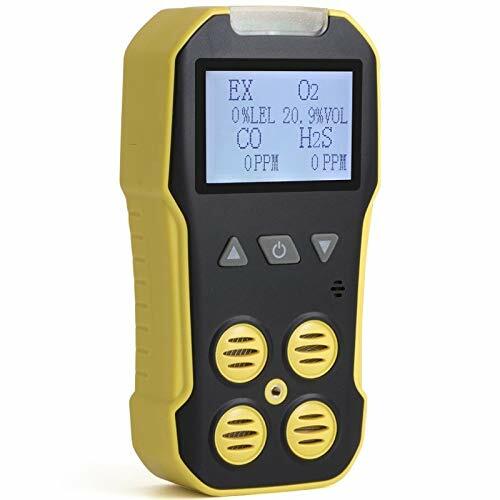 General Tools NGD269 Combustible Gas Leak Detector is designed to detect gas leaks of Methane/Natural Gas, Propane, Hydrogen, and other combustible gases. The NGD269 has an easy to read, backlit LCD screen that displays the gas levels in an easy to understand format, more convenient than the traditional LED style format. The NGD269 offers both a digital bar graph and an audible alarm to help pinpoint those gas leaks with ease. The long, flexible gooseneck probe makes it easy to inspect areas that are just out of reach and not easily accessible. Its fast warmup and response time means that you will be ready to search for those dangerous gas leaks in no time. The hard plastic carrying case provides a safe place to store your gas detector and allows you to bring it with you wherever your next job takes you. WORK SMARTER, MEASURE BETTER & BE MORE PRODUCTIVE WITH GENERAL TOOLS.